The Town of Highlands is located in Macon County, North Carolina. Founded, as the story goes, in 1875 by Samuel Kelsey and Clinton Hutchinson, who drew two lines, one between Chicago and Savannah - the other between New Orleans and New York (the major hubs of the time). The intersecting point, they reasoned, would be the "central" location for people of the south and northeast to escape the heat during the summer season. This point being in excess of 4000 feet above sea level was aptly named Highlands. Kelsey promoted Highlands for its healthy air and excellent potential for orchards and gardens. 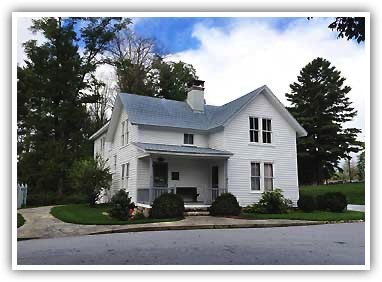 Because of its cool climate and scenic beauty, it quickly became the popular location for well heeled southern folks. The inns, golf courses and thriving Main Street soon followed. 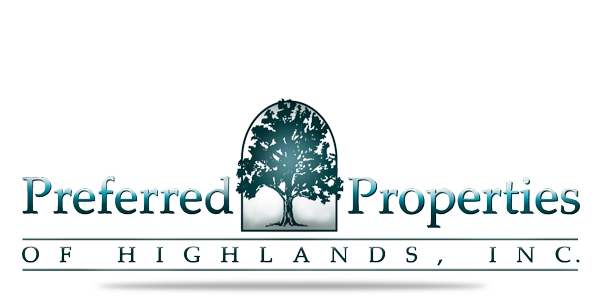 Highlands is one of few places that has no industrial growth or impact (other than the numerous retail shops and prosperous custom residential construction business). The largest employer is the Highlands-Cashiers Hospital. The current facility was opened in 1993, but management was turned over to Mission Health in 2015. Taxes are assessed by Macon County and City of Highlands. Both usually billed in August, are for the full year in which billed. January 1 - December 31. Annual appreciation averages 6% - 9% across the board. Those figures have greatly increased in the last couple of years! Waste treatment facilities are limited. The vast majority of homes inside the city limits, and virtually all of those outside the city, use septic systems. When buying a lot or land, make sure it will support a system based on the number of bedrooms you desire. 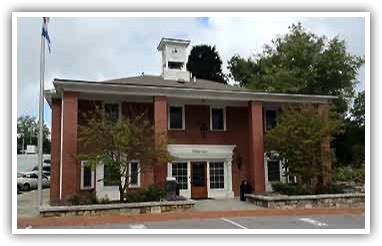 All applications for septic through the Macon County Health Department, can be handled by your agent at Preferred Properties of Highlands, Inc.
Zoning laws, Architectural Guidelines, and information of interest to new businesses can be accessed by visiting the Town of Highlands web site. As of the census of 2010, there were 924 people, 445 households, and 273 families residing in the town. The population density was 150.0 people per square mile (57.9/km²). There were 2,099 housing units at an average density of 282.7 per square mile (109.1/km²). The racial makeup of the town was 94.30% White, 1.2% American Indian, 0.06% Asian, 0.04% Black, 3.00% from other races, and 0.55% from two or more races. Hispanic or Latino of any race were 5.7% of the population. There were 461 households out of which 12.6% had children under the age of 18 living with them, 50.1% were married couples living together, 5.2% had a female householder with no husband present, and 40.8% were non-families. 36.9% of all households were made up of individuals and 21.1% had someone living alone who was 65 years of age or older. The average household size was 2.0 and the average family size was 2.54. In the town the population was spread out with 12.1% under the age of 18, 4.1% from 20 to 24, 3.2% from 25 to 29, 35% from 45 to 64, and 33.2% who were 65 years of age or older. The median age was 59.3 years. For every 100 females there were 91.4 males. For every 100 females age 18 and over, there were 84.5 males. The median income for a household in the town was $47,791. In 2000 the median income for a family was $46,875. Males had a median income of $31,964 versus $20,662 for females. The per capita income for the town was $24,120. About 4.2% of families and 7.5% of the population were below the poverty line, including 2.2% of those under age 18 and 13.5% of those age 65 or over.